Ozone Lighting, the specialist lighting division of Konect Electrical, has been appointed by Lodge Tyres to install new energy saving luminaires at their depot in Liverpool. The new lighting will improve efficiency and substantially reduce running costs. 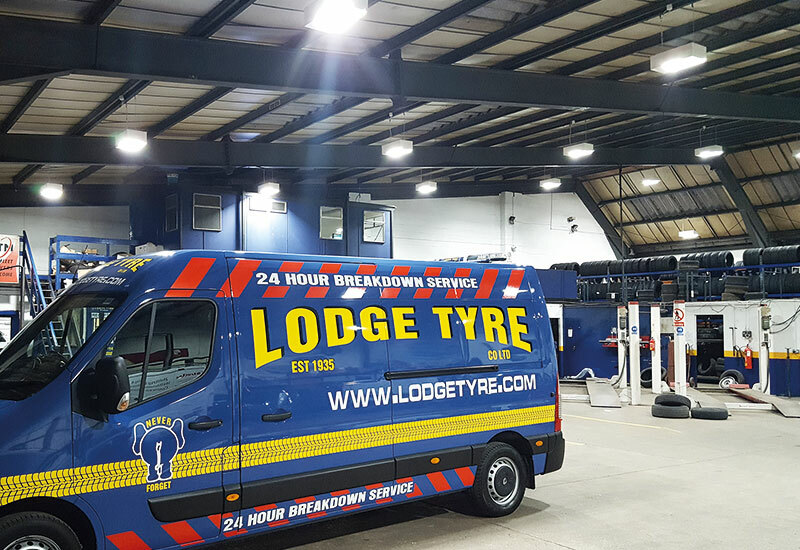 The Lodge Tyre Company first opened in 1935 and has grown significantly, now handling all major tyre applications and vehicle maintenance work.